It’s over and I feel empty. No other finale happening this week interest me. I feel sad and content all at the same time. I have been counting down to the series finale since 2007 and I never anticipated I would be so crushed on the days following the end. I have not read any reviews or other opinions of the finale so I could remain unbiased, and for those who have not seen the finale, turn back now because I will openly discuss the series. Long story short: I am a fan of the finale. It satisfied me on my original viewing, it still entertained me on the repeat viewing and there is enough open for interpretation that fans will be given the chance to decide on their own. The finale will change how I view season six but it didn’t rewrite the history before it. Whatever happened, happened. I was moved by the final act and thought it was great that everyone could get together and have a reunion. The sideways afterlife was a Vanilla Sky “Life Extension” life where you could do what you wanted, be who you wanted to be. Hurley saw himself as lucky, Jack had a family, and even though he was divorced they were still friends, Kate was born to run and Sayid wasn’t with Nadia but could be around her and watch over her. Baggage from their life carried over into their post life but how they dealt with it was how they always wanted to deal with it. How the afterlife world was created and how they decided to meet at The Lamp Post Church are a mystery to me but they are ones that don’t change the fact that it happened. Daniel Faraday did not go with Desmond and the passengers because the Church gathering was for the survivors of 815, and his time to move on would come later. As to would Ben’s time, always an outcast, he would go when he was ready. The island story in the finale was everything I could have hoped for. Not all mysteries were answered, and for a show about characters and the issues that affect them directly, I can accept this. The primary concern for the Oceanic crew was how to survive, to defeat the Locke Monster and leave. Questions about food supply drops, how Tom, Ben, Richard were able to leave the island easily, who was shooting at the Losties in the other outrigger while they were time skipping were not important and didn’t need to be addressed. If a mystery was answered (Who were Adam and Eve?) then it was because it affected the group and was something they wondered too. I believe Christian Shephard that everything that happened to Jack was real. That the people in the Church were real. Everything from September 22, 2004 until 2007 happened. The footage of the Oceanic wreckage at the end of the credits didn’t mean they all died. It was a gentle reminder to show how far we’ve come, and the ancient battle between Jacob and Man in Black was the backdrop that brought these strangers together. They were taught that if they don’t live together they would die alone, and we saw that even in death they go together. The predictions I made before the finale were terribly inaccurate, but there were two that were partially correct if you draw outside the lines. Rose and Bernard will not be involved in any island conflict but they will be collateral damage from the battle, and Vincent will wait for them at the cabin like Seymour did in the Futurama episode Jurassic Bark. Lapidus and Richard are having a big BBQ on The Hydra enjoying the rest of the Dharma beer. I figured Richard was still alive because a character like his wouldn’t die off screen. However, I did not expect to see Lapidus survive and when they landed on The Hydra I gave myself partial credit for the fact that the BBQ could happen. Rose and Bernard didn’t want to be involved in the conflict, they broke their rule by helping Desmond, and thankfully they were not collateral damage. Although Vincent laying beside Jack as he died was one of the saddest things I have seen, if the Church reunion didn’t break me emotionally then this did. Lost was a great series that had mystery and intrigue and characters were complex that they would be loved and hated over the course of the show. Part of the appeal was waiting a week for the next episode to air, to let time for the previous episode to sink in, to read theories and understand what the new questions are. Lost is an easy show to binge on but it needs to be savored. The fantastic season cliffhangers are only topped by the brain melting premieres, the wonderful soundtrack gives life to the island and seeing the show start to finish is definitely rewarding. 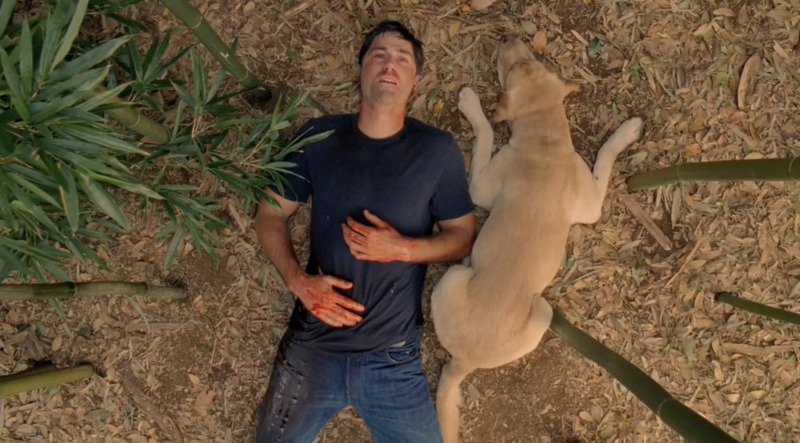 I’ll miss you Lost. You confused and frustrated me, but gave me something to look forward to every week for years and I’ll see you in another life. Update: I won’t seek out reviews or recaps of the show to understand the show, but I came across this one and I feel it says everything perfectly. Everything I believe about the finale, the Sideways and how it all goes together is written here and I feel it gives me a little closure. That’s it. That was the final episode of Lost to air during the weekday. The end is near and the stage is set for the finale on Sunday. On top of all of that I have no idea what is happening. I don’t know how to deal with this. Every year the Lost finale was an event for me, but to be on the verge of the final finale, the end all-be all of finales is tough. Whatever I felt for Battlestar Galactica ending will be dwarfed by this. I have been watching Lost since 2005 and soon all of that time invested will be behind me. It is for the best that the finale is on a weekend and the following day is Victoria Day, so I have a chance to recover and prepare myself for public interactions on Tuesday. I have come to expect a mind bending twist in the final moments of a season finale followed by months of agony and suffering, but I got through the nine month hiatus because I knew it was coming back. After Sunday that’s it. I am almost positive that whatever I know or understand about Lost will be turned upside down in the finale but I am going to throw some ideas out there, just to document how off track I was. None of this has been influenced by spoilers, everything is speculation and usually the craziest theories are the ones that tend to be partially correct. Jack will be unable to defeat Locke Monster, as he now has the same brotherly powers that Jacob had, so Kate, Hurley and Sawyer will do it. As Locke dies the monster transfers to Sawyer, thus pitting Jack and Sawyer against each other. No one will leave the island, even if the Locke Monster is defeated there will be no way for the survivors to leave and the team will help Jack protect the Light from other people that find the island. The show closes with Jack, alone for decades after watching his friends die of old age, working on a loom as a plane splits in two over the island. After one more betrayal to the 815’ers Ben will die at the hand of Jack. The cut on LA X Jack’s neck is from an upcoming event in the Prime timeline, after which the Prime line ceases to exist and everyone switches over to the LA X timeline. LA X Claire will have Aaron at everyone around her will connect to the baby and remember everything. LA X timeline is what happened if there was no Jacob or Man in Black battle. LA X 815’ers will be given the choice to live in a world without love or to go to a time where they experienced that love and had a life purpose but at the cost of death. Dr. Linus will never have that dinner with Danielle Rousseau. In LA X the concert all 815’ers are going to will start with Faraday playing All Along The Watchtower/Final Four Theme on piano and that will magically transfer them back to Prime timeline. In closing, here is a fantastic fan made trailer for the final episode, The End. Same team. Out in the same number of games. Shaving the beard on the same day. I thought the lessons that were learned on May 11, 2009 would have helped the Canucks and I. However, history repeats itself and now there are a summer of questions. 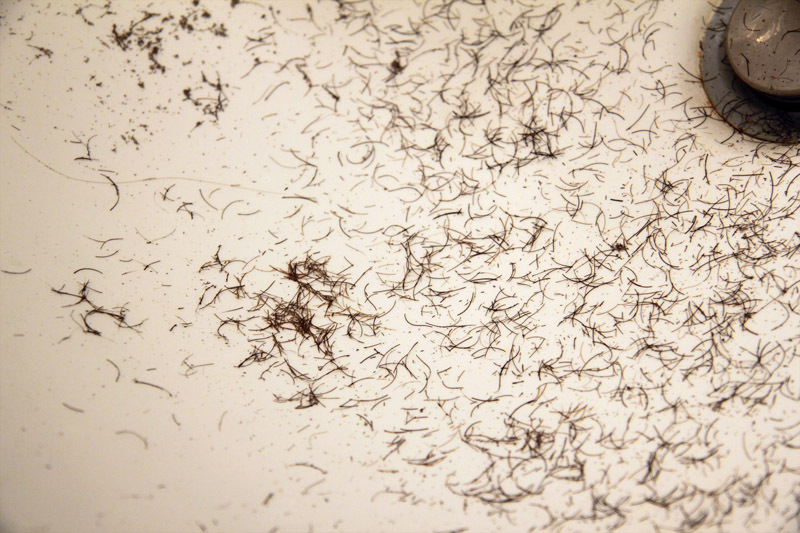 This year the beard lasted 27 days, April 15 – May 11, before the dream died. This year felt different, the team was a year older, Henrik Sedin had a phenomenal year, the Canucks had a stellar home record and we were going to go far. After a few shaky performances against Los Angeles we were lined up for a round against Chicago, something the team wanted when the regular season ended. Where is the problem? What is preventing us from going to the next round? San Jose has been a constant threat to win the Cup, but would always fall short, and after years of criticism finally proved themselves and are positioned to give their fans something they have been expecting for years. Will Vancouver go through the same lackluster performance in the playoffs like San Jose did? Or will the team fall short of expectations and eventually go through a rebuilding phase? All these questions and all I have is the aftermath of a month of not shaving and the hope that next year will be different. Perhaps these beard posts will become a yearly tradition where everything falls just short of winning it all. Enough speculation, one thing that we do know is that my beard didn’t grow properly this season. I still have a French look, my cheeks were bare and smooth and the goatee looked faint from a distance. Here are two photos a day for 27 days combined into an animation. There are two sizes available, one is 300×305 (3MB) and the other is 500×508 (7.8MB).